Foreign Minister John Baird said today Canada has grave concerns that Syria might be ready to use chemical weapons on its own people or its neighbours, or that the weapons could fall into the hands of a radical extremist group. Foreign Minister John Baird said today Canada has grave concerns that Syria might be ready to use chemical weapons on its own people or its neighbours, or that the weapons could fall into the hands of a radical extremist group, but he didn't confirm Canada would join any NATO coalition against Syria or deploy its disaster relief team in the region. Baird, speaking to reporters on a teleconference call from Morocco, said he agreed with U.S. President Barack Obama that Syria would face "grave international consequences" if it used its supply of chemical weapons on Syrian rebels engaged in a civil war with the Bashar al-Assad regime. Baird stopped short of confirming that Canada would use its military to be part of a NATO force if Syria resorts to chemical weapon use, but his tone indicated that Canada likely would be part of an international coalition. "There is considerable concern that some recent actions by the Syrian regime have indicated that they are beginning to mobilize to be in a position where they could use them [chemical weapons]. "We will work with our collegues on that to speak out very loudly and clearly on that — I think, as I said in the House of Commons the other day, President Obama spoke for the civilized world when he said if Syria took those actions, there would be grave international consequences, and I certainly concur with President Obama in that regard." 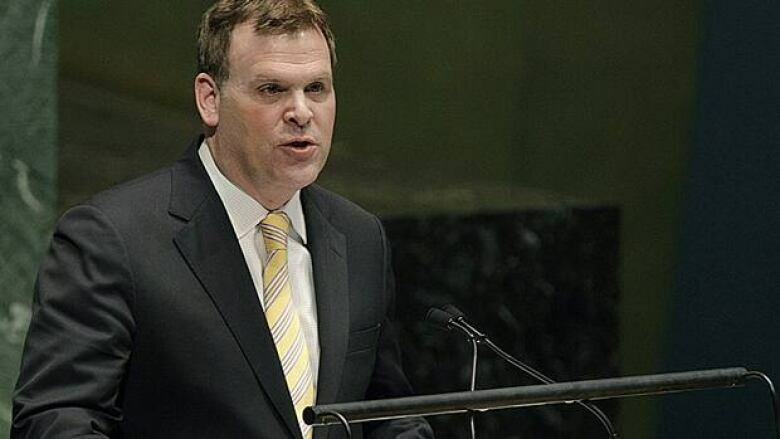 Baird is in Morocco to meet with 120 countries that are part of the Friends of Syria, an international diplomatic group of countries and bodies that meets outside the realm of the United Nations. In Morocco, Baird said he would also talk with the Syrian opposition to Assad's regime, adding that the potential of chemical weapon use by the Syrian government would be "top of mind" in the discussions. There is widespread international worry that Assad, increasingly boxed-in in Damascus and in a last-ditch effort to save his regime, might unleash what's believed to be a supply of mustard gas and sarin against civilians. "We do take the concern incredibly seriously, as do most plausible observers, for several months now. This is not just something in the last week or two. When someone has this large a stockpile of such dangerous weapons of mass destruction, we better take the issue as seriously as it requires," said Baird. 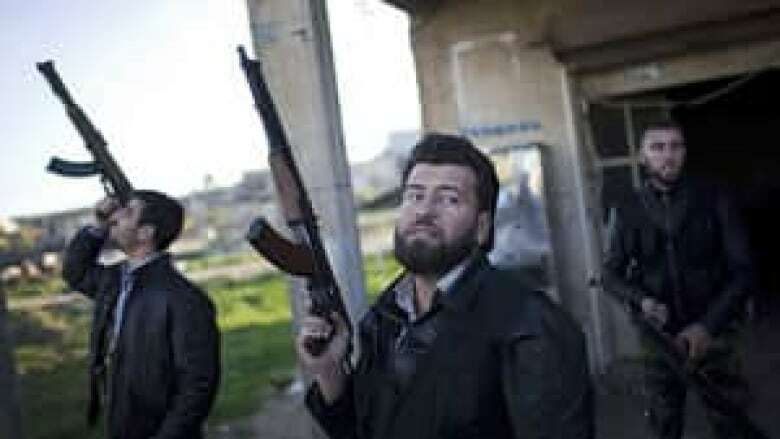 Baird also indicated that Canada was concerned about an al-Qaeda group said to be operating in Syria that is known as Jabhat al-Nusra. During the teleconference, Baird announced measures targeted at the Iranian Revolutionary Guard and the Basij paramilitary organization in Iran, as well as amended regulations aimed at any Canadian economic sectors that indirectly support or provide funds for Iran's nuclear program, oil and gas industry, metal mining operations and shipping industry.